Evan Jones was born in England on 31 August 1846, son of Evan and Sophia Jones. He married in Sydney and had a family of six children. He died at Mosman on 10 May 1917 and was buried at Waverley Cemetery. 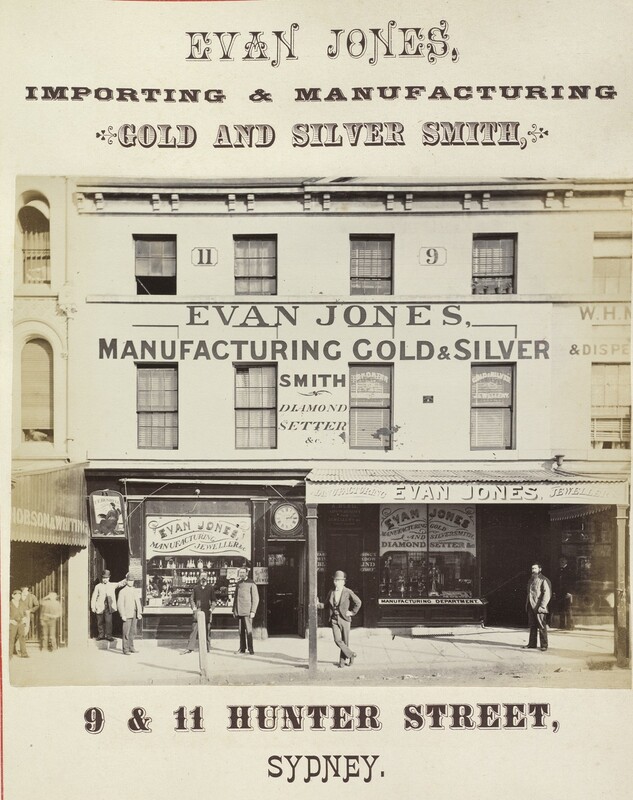 Evan Jones arrived in Sydney as a child on 26 March 1855 on the Alexander. He was apprenticed to a Hunter Street goldsmith before setting up in business at 15 Hunter Street, later at number 11. By 1875, he was a watchmaker and jeweller of 494 George Street and the Royal Arcade. His work included a gold crown for the King of Tonga, a gold salver presented to Cardinal Newman, the silver mounting for the Fijian King’s waddy, and trophies for the Jockey Club. He profited from investments in opal fields at White Cliffs. From 1905, he lived at 2 Wentworth Park Road, Glebe. Evan Jones was Alderman for Denison Ward, 1 December 1882 to 30 November 1888 and for Lang Ward, 1 December 1900 to 10 May 1917. He was a member of the Works Committee, 1901-17, the Health and By-Laws Committee, 1901-02, 1904-05 and served as its Vice-Chairman between 1907 and 1917. He was a member of the Labour Advisory Committee in 1901, the Health and Recreations Committee and the Staff and Labour Committee in 1903, the Electric Lighting Committee, 1903-12 and 1916, and the Parks and Recreations Committee in 1903. He belonged to the Finance Committee, 1905-13 and the Queen Victoria Market Building Special Committee, 1910-11. He was the City Member on the Board of Water Supply and Sewerage, 1904-17, and Vice President on several occasions. 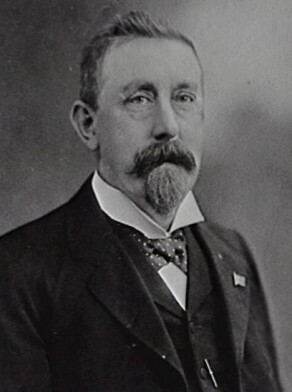 Jones served on Council for 35 years, excepting three years when he was in America.